San Francisco-based company Square Inc. has won a new patent that will allow merchants to accept all forms of cryptocurrency payment, a victory that could impact mass utilization of digital assets. The mobile-payment processing company filed the patent in September 2017, after being approved by the U.S. Patent and Trademark Office (USPTO) to move forward with plans to create a new payment system that will process cryptocurrency, including Bitcoin, at the same speed as credit card transactions. 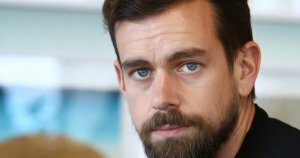 Jack Dorsey, CEO of Square Inc. and co-founder of Twitter, made a statement in March regarding the future of cryptocurrency. He predicted that the world would eventually adopt a single currency, primarily Bitcoin, in the next decade. But Dorsey’s thoughts could become reality sooner than previously thought. He was likely referencing Bitcoin, which has a troubled history of slow processing times. However, the patent remains to be seen as a conceptual stage for Square Inc., and utilization of the advancements could go either way. To reach the ultimate goal, several obstacles need to be overcome, such as proof-of-stake (PoS) latency incited by the transactions. The reported plan to solve this issue also shows Square Inc. creating its own blockchain that will record real-time transactions from the devices using Square technology. This allows the private PoS system to track payments before they encounter the public blockchain. Another option for bypassing slow processing times can be approached by paying the network directly, which would eliminate the need for transactions to be written into a blockchain. As a result, the funds would, therefore, be updated internally. Dorsey remains ambitious in his attempt to reform the digital asset class, and potentially even the internet itself. But first, he’ll have to take on President Trump, who continues to make incessant egregious statements against social media, claiming outlets like Twitter and Google are “rigged” to manipulate and influence the liberal political agenda. Dorsey and Facebook CFO Sheryl Sandberg are scheduled to testify against the allegations before the Senate Intelligence Committee Sept. 5.